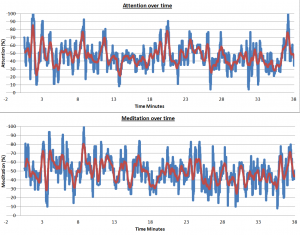 Digital Earth Lab – So I have a brain wave reading device? So I have a brain wave reading device? I have tried some highlyexperimental programming as part of my PhD. As you may have figured out I am not just into Geophysics and MCSEM but I am also into human computer interactions. The main reason I am into this area is that I HATE COMPUTERS. I won't get into too many explanations but I find that they perform poorly at communicating information. This is why I spend too much time on my interface rather than my actual software's innards. 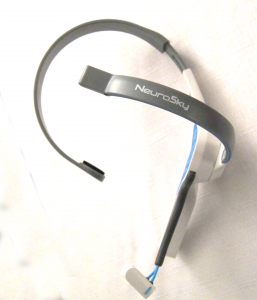 First of all I found this device, the Neurosky Mindwave, and thought it was pretty cool. I have heard that UWA and Woodside and others were trialing these things out to understand the seismic/gravity/magnetic interpretation process so having to myself sounded awesome. It is actually meant as a toy, but it seemed like a pretty decent EEG. So as a hobbyist I had fun trialing out the 'toy's' potential. So after some time tinkering with drivers a few experiments were performed. 1. What is my brain pattern when I work? 2. Whoah, that first experiment was cool. Can you use this to detect liars? 3. Now those experiments were successful I wan't to claim my name to something. Lets make the first brain controlled interface system connected to a geophysical software package. Just for kicks. Experiment 1 : What is my Working Pattern? No real hypothesis. I knew how I worked but it was good to see it in the data. I wrote my own logging program in java using the JNI code that came with the device which connected to the C drivers. I actually did an experiment covering 8 hours of continuous work (coding). This collected in excess of 24mb of raw data. Each recording is computed around 1 second. 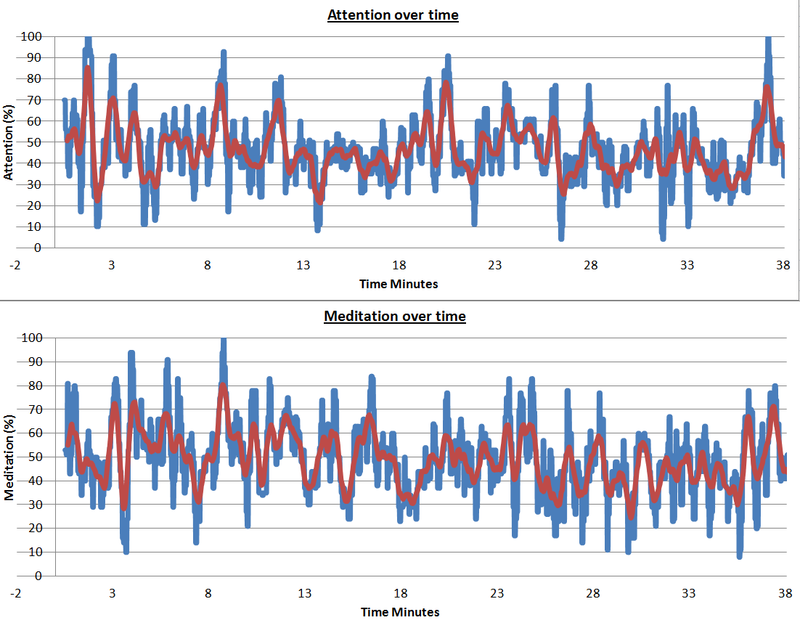 The program recorded time in ms attention, meditation among other things. Below is only an exerp of 38 minutes of recording time. My wife had a completely different working pattern. Where she took 45 minutes to get into work, stayed at 75% for an hour and then dropped off sharply. No real cycle. Just better at working I suppose. Experiment 2 : Can you use this thing as a lie detector? Yes. Yes you can. But it takes hours of fine tuning, practice and a lot of false positives and negatives and only for simple questions. i.e. *shows card* "What is this card?" Typically a lie will result in an increase in attention and decrease in meditation. Premediated lies are harder to detect but are detectable in retrospect.